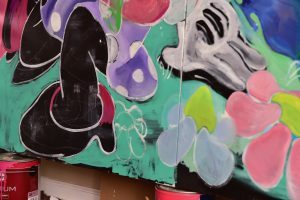 A new Minnie Mouse-inspired artwork will be installed at the Mickey: The True Original Exhibition in New York City on National Polka Dot Day (January 22). 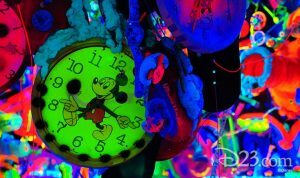 Mickey: The True Original Exhibition is slated to open in November in New York City to celebrate Mickey Mouse's 90th Anniversary. When the exhibition was announced pop-up previews were promised. One of those previews is in Chicago at the Chicago Athletic Association Hotel through October 25. More Mickey’s 90th Anniversary News: Joffrey’s Coffee and Tea Company Releases Special Blend! 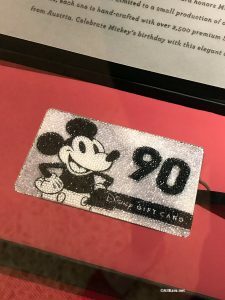 The celebratory events and items keep rolling in for Mickey’s 90th Anniversary! So far we’ve learned of park events across the globe, merchandise, a pop-up exhibition, and a TV special. Plus an official portrait! Last night we were there as Joffrey’s Coffee & Tea Company in Disney Springs launched their commemorative blend for Mickey’s 90th … Continue reading "More Mickey’s 90th Anniversary News: Joffrey’s Coffee and Tea Company Releases Special Blend!" Mickey has a big birthday coming up! He has already had an official portrait released for the occasion of his 90th birthday, which is officially on November 18. Today we learned about a very special pop-up exhibition in honor of Mickey’s birthday. Mickey: The True Original Exhibition Open Tuesday-Sunday November 8, 2018 to February 10, … Continue reading "Mickey Mouse’s 90th Birthday Celebrated with a Pop-Up Exhibition this Winter"